All Android: Which phone from MWC are you most excited about? By now you’ve caught the word from Mobile World Congress ’15 on Sunday and seen for yourself Samsung’s all-new Galaxy S6 and Galaxy S6 Edge in addition to HTC’s latest creation, the One M9. But which device is trumping the tech world, and which way will Android super users sway? 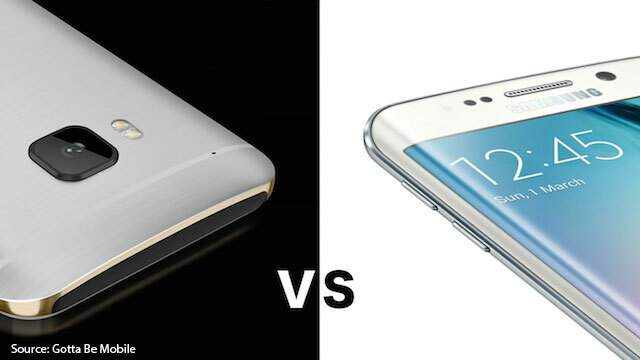 Gotta Be Mobile lists some key differences between the Galaxy S6 and the HTC One M9, and notes that the “major advancements” seen from Samsung and HTC this year make a much more difficult comparison than years past. PC Mag chimed in a vote for Samsung’s new all-around metal design of their latest Galaxy, as well as the new curved glass on the Galaxy S6 Edge. Either way, you’re going to want to find the best way to protect your new favorite Android smartphone. That’s why we’ve got slim, military-grade protective solutions ready for you: Samsung Galaxy S6 cases, Samsung Galaxy S6 Edge cases, and HTC One M9 cases. Simply select your favorite color and sign up to be notified as soon as they’re available (psst- that’s gonna be really soon! ).